Hello, lovelies~ Cleansing oils. 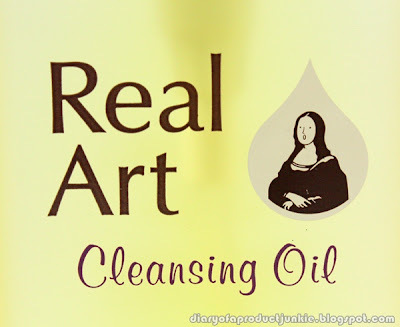 One of the things that might scare off people with oily skin, lol. I have combination skin, which means my cheeks are dry, but my forehead, nose and chin are slightly oily. 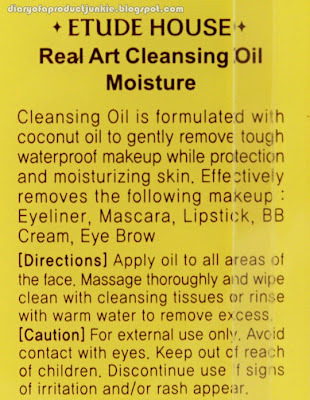 I've used cleansing oil as a makeup routine about a year ago and have been loving it so far. It's just practical in removing all of my makeup, including my waterproof mascaras. Today, I'm going to review another product from Etude House and it is their Real Art Cleansing Oil. The one with the gasping Monalisa on the packaging. 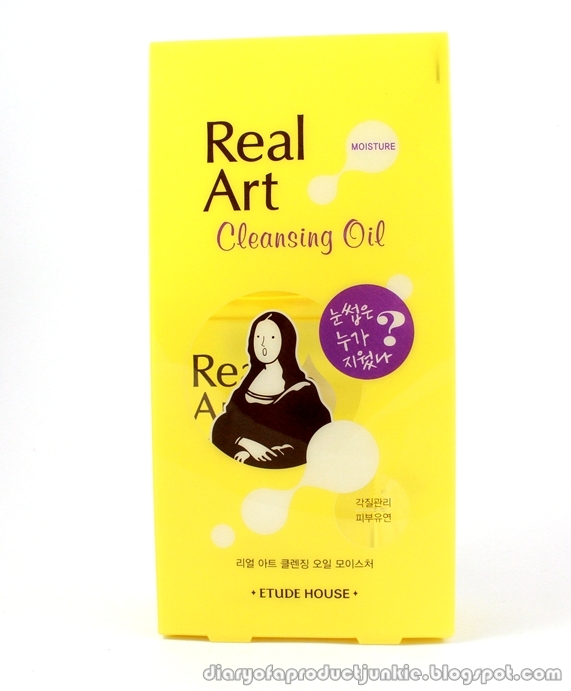 On first glance, the packaging is a yellow colored bottle with a Monalisa who appears to be surprised at something. It is just cute and adorable. 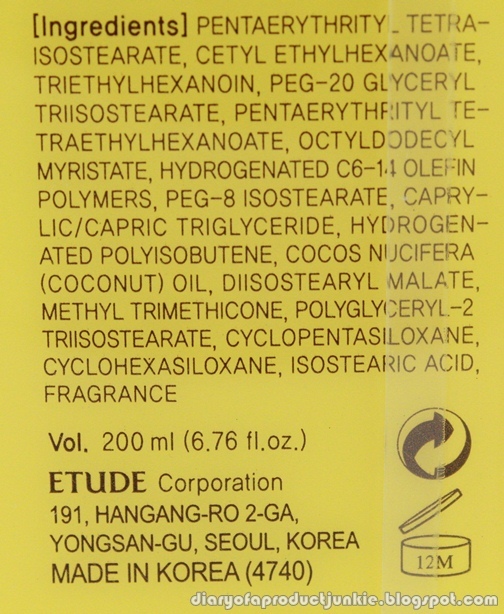 I always liked the packagings on Korean or Japan beauty products. They always manage to make it look eye catching and people usually goes "awwwww..." when looking at their products. The bottle comes with a twist off cap and a pump. I can imagine using the cap when I want to take it travelling with me and using the cap when I've reached my destination. Good show, Monalisa. 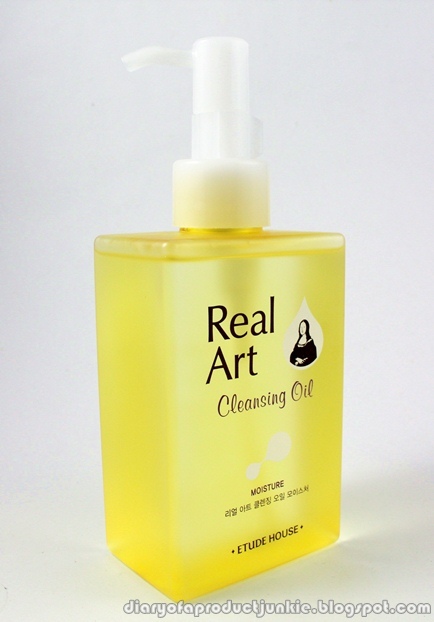 There are two types of cleansing oil from this collection, moisture and fresh. The fresh one is targeted for people with oily and acne prone skin type because I saw tea tree being listed as one of the ingredients. 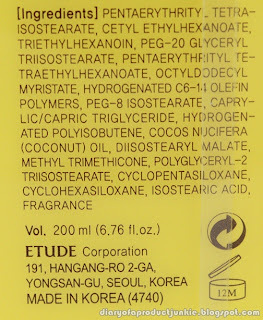 I bought the moisture type because I would preferably hydrate the dry areas on my face. Onto the product. At first pump, I can detect a hint of coconut scent, but it wasn't too offensive. 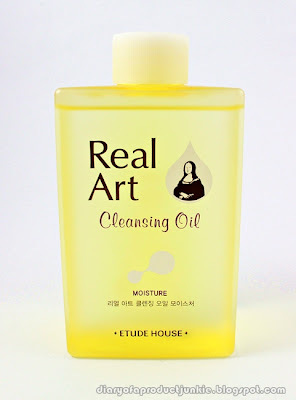 The texture of the oil is thicker than the cleansing oil I used to use (Etude House Cleansing Dream Cleansing Oil). 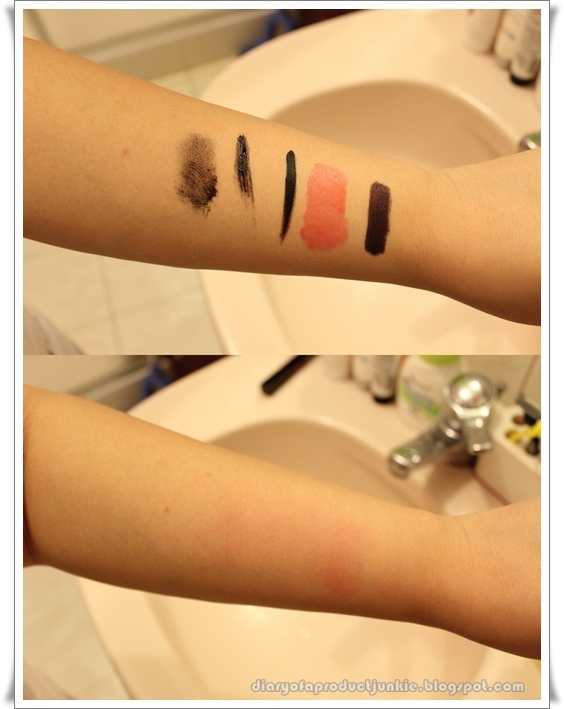 I like the texture as it doesn't tug too much on the skin, but removing the makeup effectively. I don't have to massage hard on my face to get the makeup off. Once I'm done massage it all over my face, I rinse it with water and noticed that it emulsifies into a white liquid. 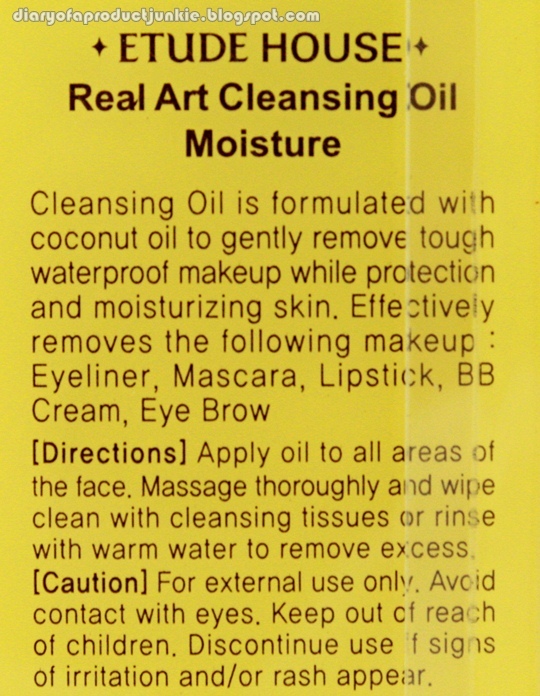 When I'm done rinsing it off my face, it doesn't feel greasy at all. Instead, my face doesn't feel tight and my makeup is removed effectively. What I like the most is that it doesn't irritate my eyes when I'm cleaning off my eye makeup (liner and mascara, commonly). Below is a picture of the before and after. I love this stuff! My skin is so sensitive and most products are too harsh but this is a miracle worker! One of my coworkers brought it home for me from Korea when she went hone to visit and now I'm hooked!